Home garden pest control requires observation and a good eye for detail. Several methods can help you with organic gardening pest control and disease control in your home garden. If you see damage on leaves and buds, or you notice that the plant is unhealthy with discoloring and wilting, pests or disease may be the cause of the problem, particularly if this plant was previously a thriving and healthy specimen. The following are a list of possible damage that you may discover, along with the most likely vegetable garden pests and diseases that cause this damage. Knowing this, you can start to solve the problem and save your vegetables, shrubs and flowers as soon as you recognize that there is something wrong. Plant wilting tends to be caused by attacks on the root of the plant. Unfortunately, by the time you notice your plant is struggling, it is probably too late to save it. The vine weevil, a common pest in North America and Europe, often attacks ornamental plants, such as cyclamen and rhododendron, as well as vegetables and other plants. Irregular holes on your plant’s leaves are a sign that the vine weevil may be attacking your vegetation. 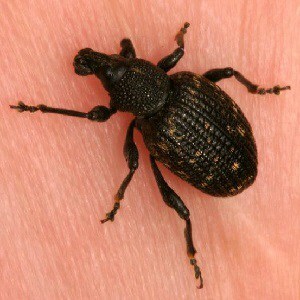 If you find these weevils on your plants, you can pick them off and destroy them. You can also spray the plants with an insecticidal soap with chili powder added to stop the adult from attacking the plants. Getting rid of the adults will also prevent them from laying eggs. Vine weevils lay their eggs in the soil, so you will want to get rid of them before they lay their eggs. Once the larvae hatch, they will avidly begin to eat your plant’s roots and will likely destroy your plants. Another pest that will attack your plant’s roots is the chafer grub, the larvae of the chafer beetle. To stop the chafer grub from moving from its normal diet of grass roots to eating your vegetable plants, weed your garden often. Using a sharp Dutch hoe in and around plants will help stop these grubs from moving from one plant to another. Dig up affected plants and search through their roots and through the soil to find the offenders and destroy them before they move to more plants. The cabbage root fly grub is another pest that affects brassica roots. Unfortunately, the first time you become aware of the problem is when the plant is wilting and dying. The adult cabbage root fly looks similar to the common housefly except it is gray in color; the larvae is a maggot. To protect your cabbages, broccoli, cauliflower, kale and other brassica plants from the cabbage root fly, cut a three-inch square sheet of cardboard or carpet underlay with an incision from the side to the middle. 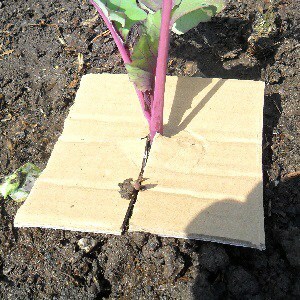 Place the square at the base of the plant, slotting it through so that the stem fits in the middle of the square. This protective sheet will act as a barrier between the plant and the soil and stop the fly from laying eggs at the base of the plant. The common name of any gastropod mollusk is “slug.” You have probably seen slugs in your garden. They are generally dark, cold and slimy, and slugs leave an iridescent trail behind them. Slugs love to eat your kale, lettuce, beans and tomatoes. They eat the leaves and leave behind irregular holes. Sometimes, if the plant is small and new, they can eat the whole plant. You will need to be diligent to rid your garden of slugs. They reproduce prolifically. One way to get rid of them is to put a piece of cardboard down in your garden and then pick it up and turn it over each morning. The slugs will be lying underneath the cardboard and you can simply pick them off and kill them. Or set out a shallow bowl of beer as bait. The slugs will be attracted to the beer and will climb in to sample it, drowning in a drunken stupor. At least they won’t make a lot of noise and bother your neighbors when they party. Leaf eating pests tend to eat from the underside of leaves. So, when you are checking for pests it’s important to lift the leaves. Caterpillars can cause as much damage as slugs. It is worth being vigilant when checking the underside of leaves to see if there are any eggs. Just a simple wipe with some mild, soapy water will get rid of the eggs and prevent them from turning into voracious caterpillars. If the caterpillars do hatch, you should wear gloves, and collect and dispose of any you find. You can also plant nasturtiums to help draw them away. If the caterpillar problem is out of control, you can resort to using a bacillus thuringiensis spray. The spray is comprised of a bacteria already present in butterflies, moths and their larvae, but because the spray contains a concentrated, larger quantity of bacillus thuringiensis, the bacteria will kill its host. Don’t worry about introducing too much bacteria to the environment. The spray is short lived. It will cure the problem, and although it is slow-acting, the infected caterpillars soon stop eating your plants. Another option is to sprinkle the heads or growing shoots of brassicas (cruciferous plants) with corn meal. The caterpillars will eat the corn meal instead of the plant and will swell up and die. There are leaf eating pests such as leaf beetles, flea beetles, white-flies, vine weevils and sawfly larvae, or diseases such as chocolate spot, blight, mosaic viruses and rust. Some solutions are specific to the type of pest infecting your plants. For example, if you wave a piece of card with syrup on it above a plant infested with flea beetles, they will jump to get away from what they perceive as an attack, only to be caught on the card by the sticky trap. Similarly, if you spread syrup on a yellow card and hang it in the greenhouse, you will take care of a whitefly attack. This is because the whitefly is attracted to yellow, and it will fly toward the card, land on it, only to find itself trapped. Deformed plants and pale leaves indicate sap sucking garden pests, such as aphids, whitefly, scale insects, thrips, leaf hoppers and woolly aphids. Insecticidal sprays are very effective against these pests. If you add some chili, the combination will deter these pests from biting your plants. If you don’t have any sprays, even a blast of water could disperse them. Probably the most effective garden insect control would be vegetable pest predators. There are also some great companion planting combinations that will encourage these predatory insects. A vegetable garden can easily be decimated if we do not keep pests under control. And without using chemicals to kill these critters, the job of deterring attacks can seem endless. The laborious tasks of checking under leaves, raking through soil, hunting for slugs and picking off caterpillars, although sometimes necessary, are not jobs that we relish. And if we’re honest, we are not always as vigilant as we need to be. It is not just small creatures like bugs that cause problems. Deer and rabbits can do their fair share of damage, and if your local squirrels get a taste for your strawberries, they will leave you with nothing. Of course, barriers, nets and tools that scare the pests will generally take care of the larger pests. 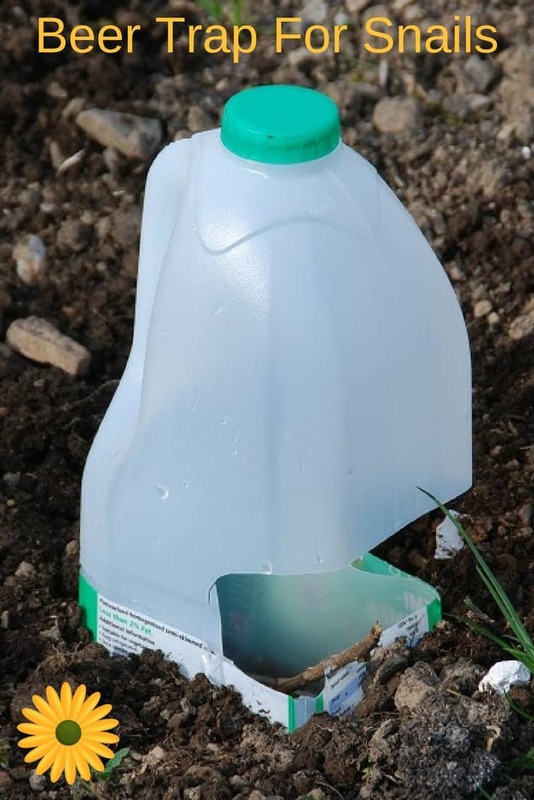 Using deterrents, beer traps and covers, as well as a good companion planting design, will also help control attacks from slugs and insects, but there are other ways of providing a natural protection for your plot. This is where working smart is perhaps a better solution: let animals do the work for you. 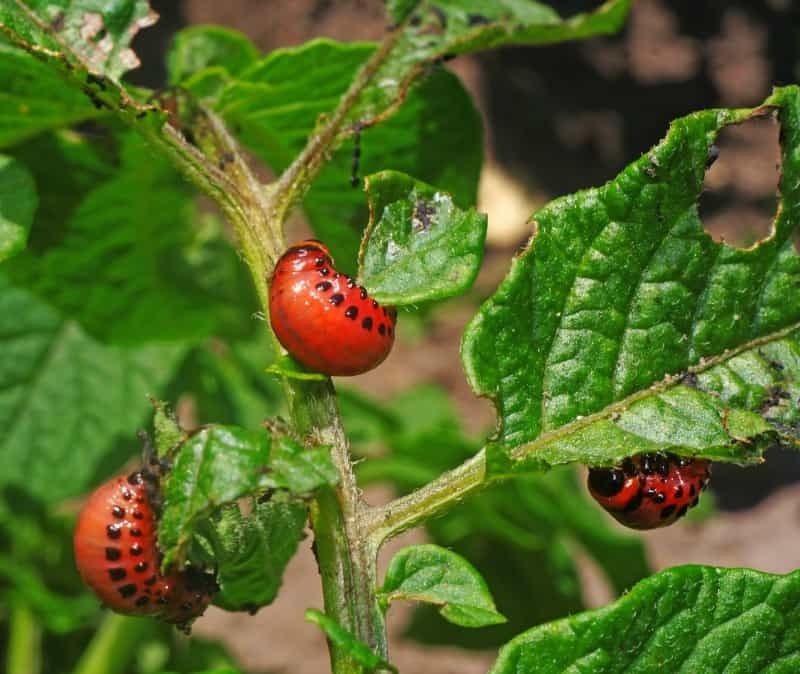 Vegetable garden problems can be helped by encouraging some extra special garden workers who can help to keep pests under control. Because they eat insects and other critters, frogs, toads and snakes should be very welcome visitors in your garden. 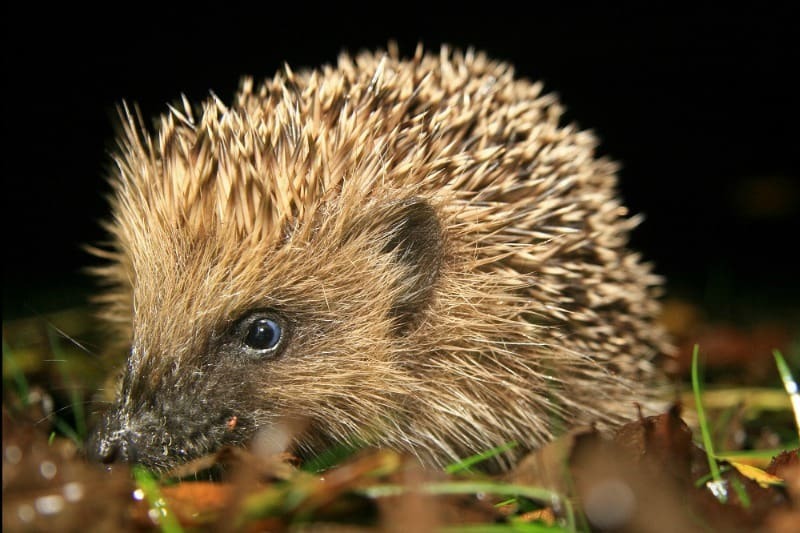 Some mammals, such as the hedgehog, are also helpful little creatures because they eat the pests that are likely to eat your plants. Hedgehogs will eat slugs, snails and other garden pests. Frogs and toads can play an important part of your vegetable garden insect control. If you develop a wet area habitat for them, they will often move in quite quickly. Frogs would prefer access to a pond, and if there is nothing nearby it is definitely worth digging a shallow hole, lining it and filling it with water. But even long grass, a hedgerow, a log pile or compost heap are ideal areas for toads, as once they have matured they will only return to water to lay eggs. You could also be lucky enough to attract some slow worms or newts, as they enjoy the same type of habitat as toads. They’ll all be happy feeding upon insect larvae, slugs and snails. 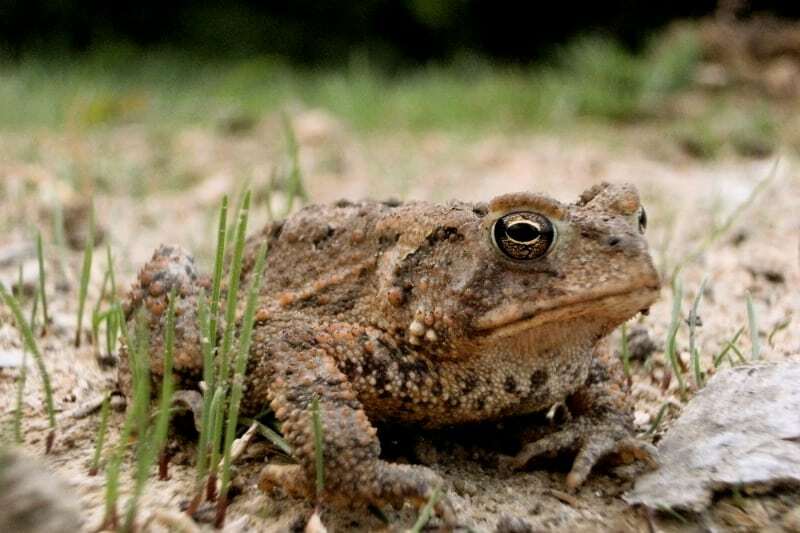 Encourage toads to live in your garden and they will eat your vegetable garden pests. If you have a pond area in your garden you could also encourage the insect eating dragonfly and damselfly. 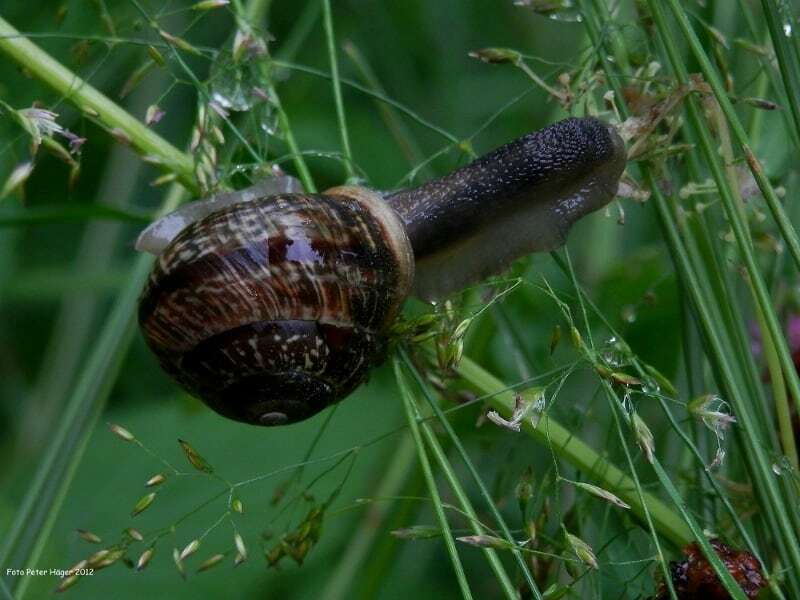 We have always found that the bigger vegetable garden problems are often caused by slugs and snails. Attracting a main predator of these invertebrates is highly desirable. What eats them? Lizards and snakes are prime hunters of all kinds of pests in the garden, from mice to slugs and beetles. To attract amphibians, developing a rough part of the garden would be good. It should have logs, leaves and possibly be a little overgrown. Just remember not to use power tools to tidy the area up, and leave the leaves and logs over winter just in case a critter has taken up residence. Birds can take care of lots of other pest insects, including scale, aphids and many others. Birds that are caring for fledglings need lots of caterpillars, spiders and pests. 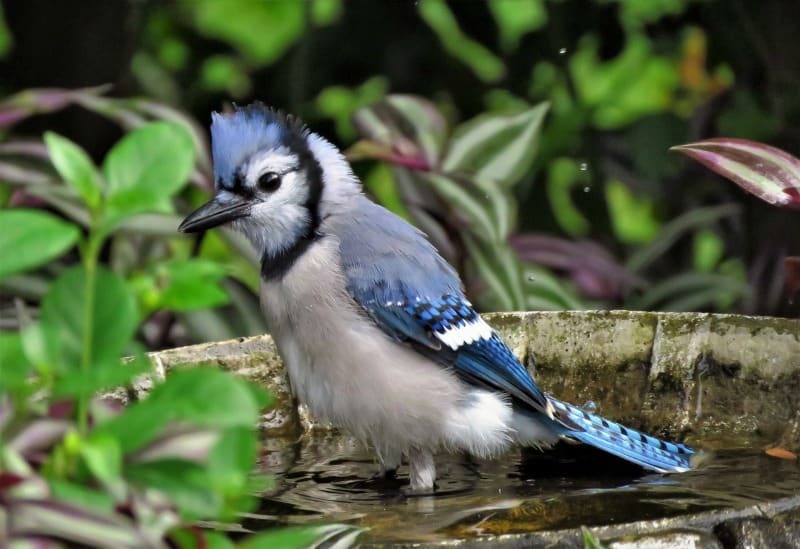 They also need water, so a pond or bird bath is important to keep them close by. By creating a garden that is friendly to these insect eaters you will find that you will have far less pest destruction, and your vegetable plants will be healthier and yield bigger and better crops. 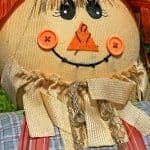 The scarecrow is a symbol of our historical need to get rid of pests and is probably still the first thing we would think of using if our crops were being attacked by birds. 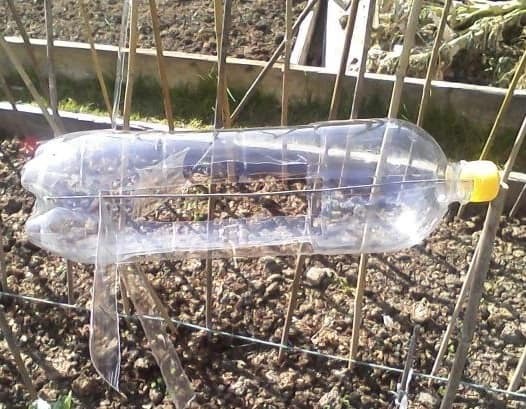 But today the scarecrow is not the most effective way of protecting our vegetables, as even gardening has gone high tech. Here are some pest control ideas for chasing away some of the bigger pests. A small plastic soda pop type bottle with wing shapes cut and bent out on either side will spin in the wind if threaded on a stiff wire, doing a pretty good job of scaring birds. CD’s suspended on strings will do the same. 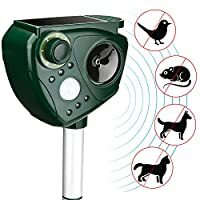 There are all sorts of devices to scare birds available, some that have been created with a lot of imagination. Spinning foil balls work well as do dangling strips of foil. You can even get molded owls with moving heads to watch over your veggies, and the traditional noise-based items for keeping birds away now come with solar rechargeable power packs. One innovative idea for controlling vegetable garden pests is a humming tape to keep birds and rabbits away. Set up is easy: stretch a special polypropylene tape between two sticks and when the wind blows over the tape, it will make a humming noise. 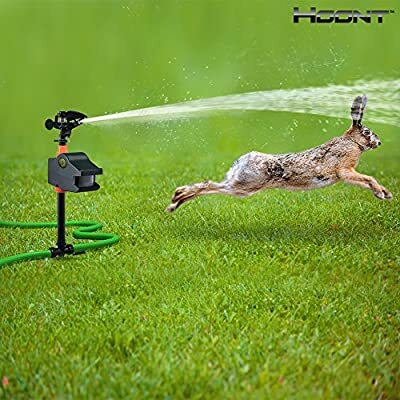 Why not add some fun to controlling your vegetable garden pests and get a motion sensor water sprayer that you attach to a hose and place in your scarecrow’s hand? 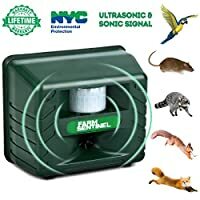 There are also some ultra-sonic devices that sound an inaudible-to-humans tone that will scare off cats, deer, foxes, birds, and rabbits. If you have a problem with deer, you could try mothballs, rags soaked with wolf urine, dried blood sprinkled over your vegetables, scented soap, or muslin bags of unwashed human hair. Sonic methods for controlling vegetable garden pests work well to deter cats, but you can also use cat silhouette cut outs that will keep them away. A large clear bottle of water will distort their reflection and could confuse them into thinking that they were being followed. Barrier defenses are not easy to devise for cats. But if your garden is fenced, you could attach some chicken wire to the top of the fence and bend it in the direction that cats approach. You could also run string along the top of a fence to stop them from walking along it. 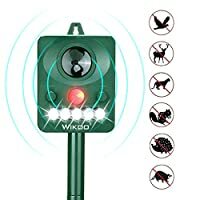 Stinky sprays and powders work well against most pests and you can get virtually any kind of product to deter any kind of pest. You could also make your own spray: peppermint oil and water works well for cats as does rosemary water. You could also dust your plants with pepper or chili powder. They’ll smell it and back away before they get near it. If rabbits are a problem, then most of the chili powders or a chili spray will put them off, as will mothballs, garlic, onion and a spraying of an Epsom salt solution all over the garden. The same approach can be used with squirrels. If you have a bird feeder squirrels can be quite persistent. Here’s how to squirrel proof your bird feeders. The unfriendly approach for deterring squirrels would be coating food with chili powder, (choose a food the birds don’t like). A friendly approach would be giving the squirrels plenty of food so they leave your veggies alone. In addition to vegetable garden pests, plant diseases can be a problem. Diseases often manifest themselves on the leaves of plants, and can either look like leaf curl or colored growths on the leaf itself. Many diseases, such as chocolate spot, blight, mosaic viruses and rust, can be difficult to spot and eradicate. Blight is a common problem for potatoes causing a browning of the foliage which will, if left, cause the complete death of the plant. This disease is carried by the wind and is more common in damp weather. It tends to only affect the main crop potatoes. Control it by removing the stems of a potato plant as soon as the blight is evident. Don’t compost these stems, plants, or any rotten potatoes; get rid of them in a bonfire or the trash. Rust is a virus that affects the leaves and pods of broad beans. To avoid it make sure there is plenty of space between your broad bean plants. Remove and destroy any affected leaves. Chocolate Spot is a common fungal disease of broad beans and you should avoid collecting seeds from any plant that has been affected and burn the plants once harvested. Cucumber Mosaic Virus effects all squash plants. It is carried by aphids moving from one plant to another. It is best avoided by guarding against aphids as the disease has no cure. Other vegetable garden pests and diseases could be parsnip canker, potato blackleg, Swede soft rot, celery leaf spot, asparagus rust, onion neck rot or potato scab, etc. In addition to managing the pests as noted, it is important to rotate your crops. Without crop rotation, you will likely have issues with soil-born diseases, such as club root, a common disease of cruciferous vegetables. Such diseases can build up in the soil and affect subsequent crops. Rotating your crops will help prevent these diseases. Companion planting pairs plants that naturally repel insects with those that seem to be magnets for pests. Rather than buying and spraying Pyrethrum, a chemical pesticide derived from the chrysanthemum group of flowers, simply plant chrysanthemums in your garden. 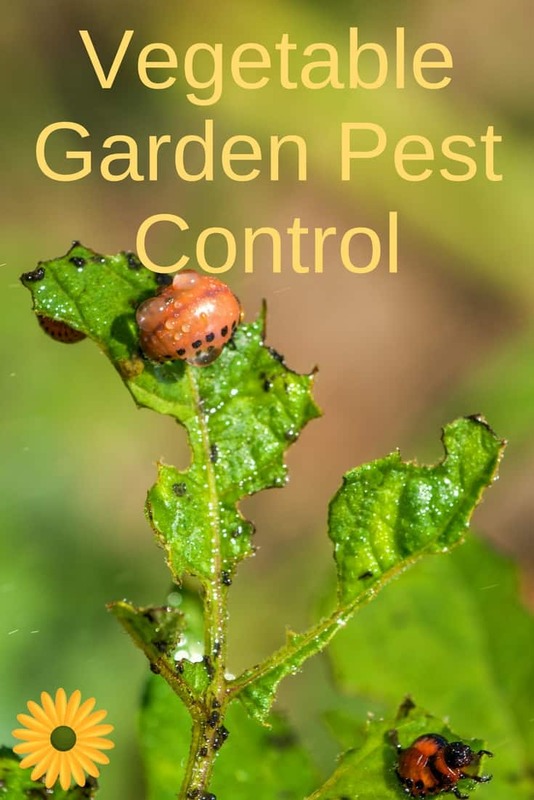 Here are some examples of an organic pest control system using companion planting. Chrysanthemums work well when planted with the brassica family of vegetable plants, as does nasturtium which caterpillars prefer over cabbages. French marigolds keep your tomatoes free of greenfly and blackfly, as does basil and chives, with the sweet aroma of basil also keeping whitefly away. Chervil and coriander repel aphids and dill attracts natural pest predators to your garden. If you have space in your garden plot, try growing a bed of nettles. Cabbage white butterflies will lay their eggs there and keep the caterpillars away from your vegetables. You can also harvest the nettles for tea, soups or for a high nitrogen liquid fertilizer. Carrots planted in between leeks will hide the carrot smell that the carrot root fly is homing in on. 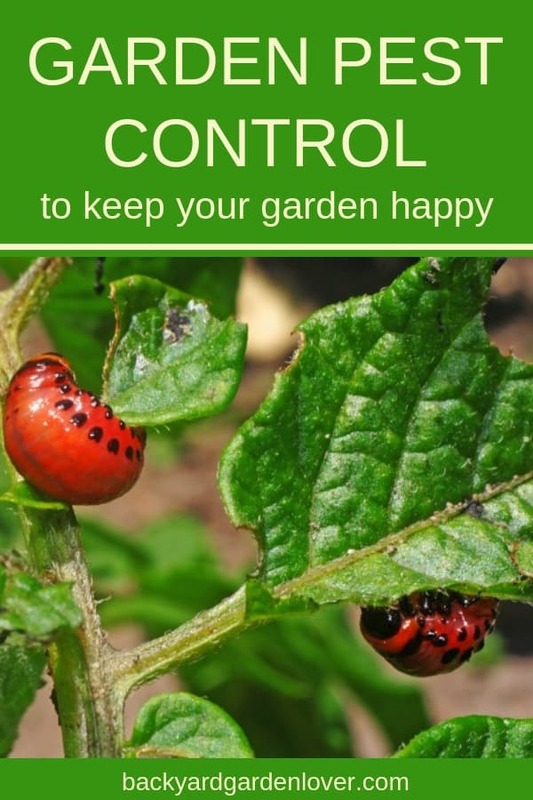 There’s so much to learn about home garden pest control! I hope this has given you the tools you need to protect your vegetable garden from nasty pests that destroy it.